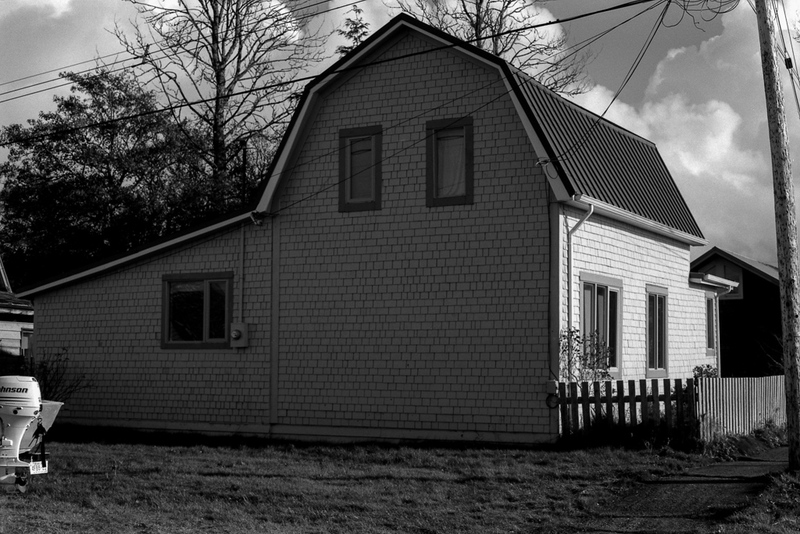 I found myself drawn to this house in Masset on my last trip to Haida Gwaii. It was near my motel and caught the evening light very nicely, when there was any. The stop sign kind of steals the show in the first image, not that I am complaining. 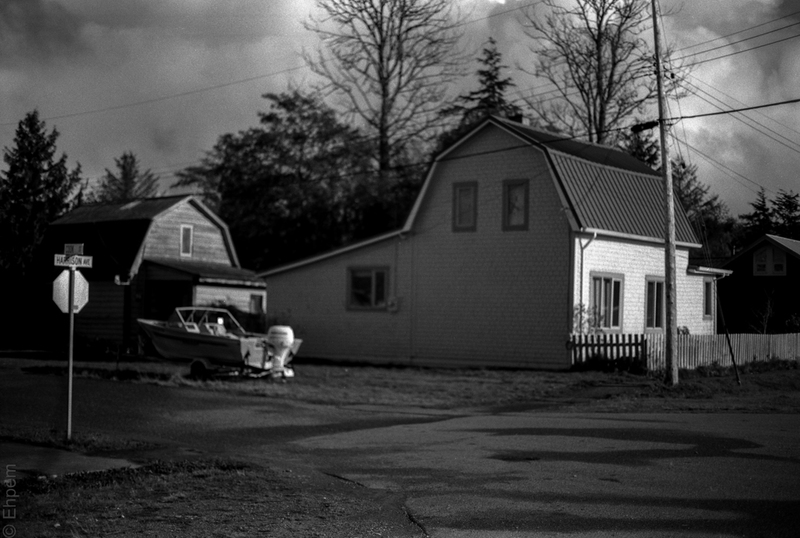 This is the last of a roll of black and white film that I shot in Masset; the rest of the roll of film can be found at 52Rolls in a post called Haida Gwaii Alley, as well as on this blog in posts called Haida Gwaii North Beach and Haida Gwaii Masset Dock. Canon Elan 7N, Canon 50/1.4 lens, Fuji Neopan Acros 100, commercially developed, scanned on Epson V700. The house seems to need windows on that side! Or maybe the original occupants had neighbours they didn’t like. Or maybe they wanted that wall for a floor to ceiling bookcase? Or they just liked shingles. I think it might have had something to do with heat conservation.